So a few weeks ago…. …I was on the Twitter (yes, I call it THE Twitter, makes Chelsea crazy) and someone posted that Sara Lamb had set up an Etsy Shop. I was right there to check it out and I found this bag. Handspun Silk. Painted Warps. Hand Woven. All of those fringes Hand Twisted. It was there, in living color. I had to have it. Then there was an email from my friend Sara which said she had a bag that was pink and did I want to choose that one instead. She sent me photos. Handspun silk, painted warps, hand woven, hand beaded with flowery beads, a card woven strap, hand twisted fringe. The back has just as much attention to detail. Really, when will I have this opportunity again? I’ve been getting the quickly lately. The new Interweave ones. I’ve been borrowing a copy and watching it at home so I can make good recommendations when people ask. This week i worked on spinning Corriedale Samples and a couple of Romney Samples so I watched videos while I was working. Three of them really stood out for me and I want to tell you about them. It’s a 2 disc set. The first disc is Linda Ligon speaking with Alden Amos and the second is Linda speaking with my secret girlfriend Cindy Lair who is one of the Genius’s at Schacht and also the production manager there. The talk about drive bands and brake bands and oiling and adjustments and what noises are important and what you can ignore if you want. I feel like I know a lot about wheels and can make almost any wheel with all its parts work but I learn even more while watching this video. The next video is by Margaret Stove. I had a blog post not long ago talking about her and how I admire her talents and her books. Well, now there is a video. Since she lives very far away and teaches here rarely, now is your chance to learn from her. 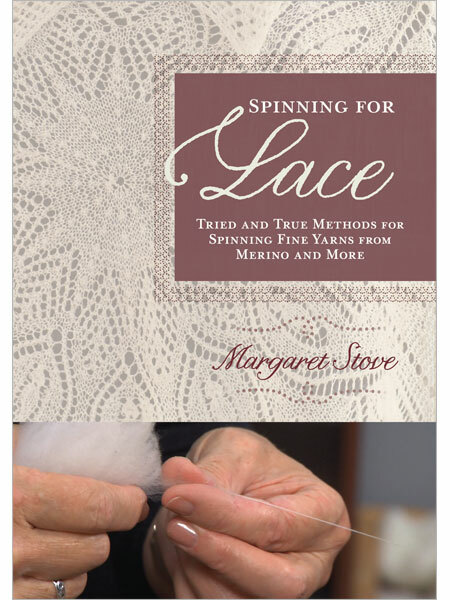 Spinnign for Lace is full of very important information about her process of washing, sorting and spinning and plying Merino which you can then translate to other wool fibers. It is a joy to watch and asks to be watched again to understand just what her hands are doing. Deb Robson is passionate about these sheep breeds. In this video she shows her passion and her emotion when telling us why we should care. In the midst of it all she convinces us that we should try spinning them all by showing how easy it is to spin them, and how wonderful and useful each and every wool type can be. I would never say that a video is just as good as taking an in person class but for those refreshers, those times when you need a bit more instruction, those times when you want to hear from the expert who may not be next door, these videos will do in a pinch. 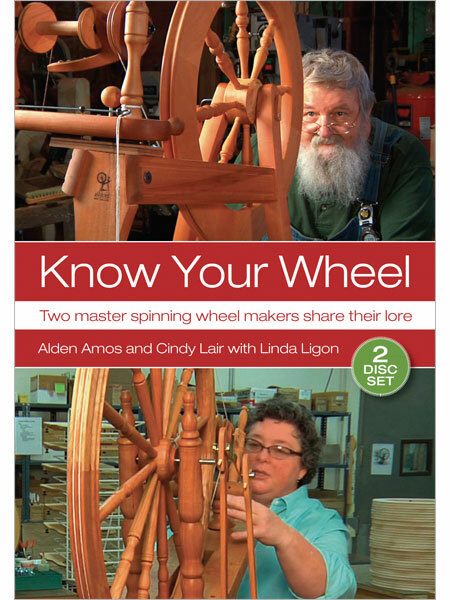 I haven't seen that video, but in general think the Interweave spinning DVDs are top notch. 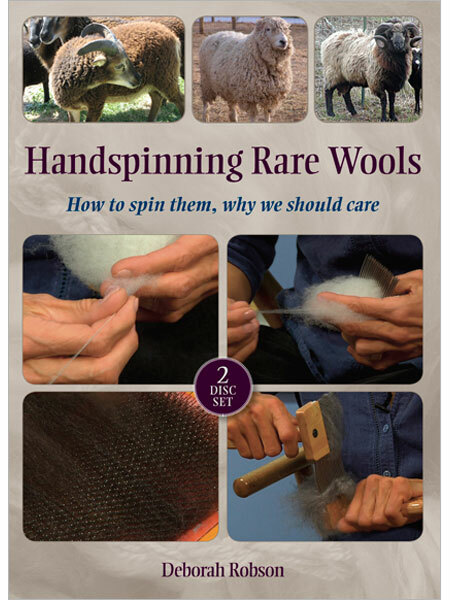 I haven't seen any of these videos, but I'm about to get Handspinning Rare Wools along with the Fleece and Fiber Sourcebook.